Oak Hardwood Electric Gates Eaton College Windsor required a thorough fare set of gates to regulate the movement of cars through the Parade Yard set in the College grounds. A parcular design put together by Landform Architects to limit car movement to the Parade yard and yet allow pedestrian access for students and staff alike. The small pedestrian gates has a gas strut on it to ensure the gate is closed at all time and not left to flap about. There were two existing Oak posts of which to hang off. 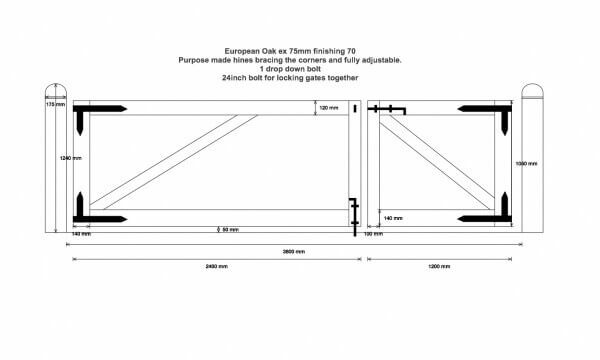 Which led on to the gates being manufactured out of Oak to match in. 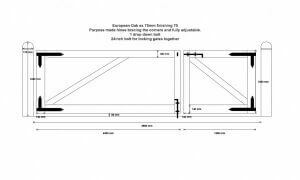 Fully adjustable hinges were purpose made to allow initial installation to go smoothly and to future proof the gates if there is any settling. 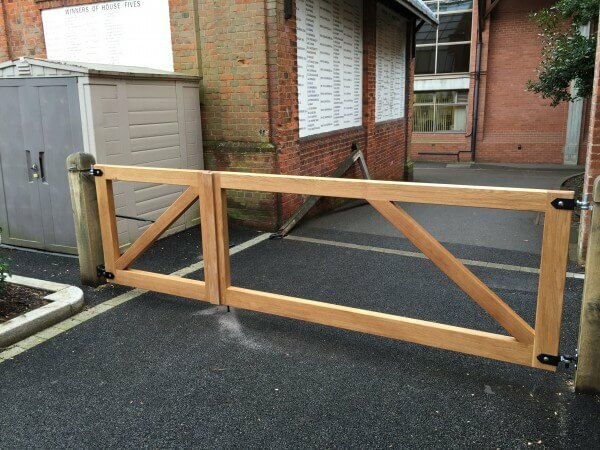 A more simple design of gate and yet highly effective at the job in hand.